Jayanti is a beautiful Reiki Master, Healer & Inspirational Teacher who assist people to develop their own skillset as a healer that will enable growth, expansion and love. She showers her clients with an almost angelic presence of true femininity that shines through herself & her dedication to her craft. Her presence and energy is infectious and this draws out your own healing qualities in a nurturing mode. Jayanti is a Internationally known Intuitive Healer and Inspirational Teacher. Her techniques are both of ancient and progressive styles that empowers your journey of healing. Jayaniti’s passion is to inspire and guide others to ignite the Soul Flame from within themselves and create the life they desire. Jayanti offers a wise range of Healing workshops from Reiki, Shamanic Healing, Breathwork any many more. Through her love of India and Bali, Jayanti runs retreats in Bali and India tours that will enrich the soul and inspire a magical experience of self discovery. 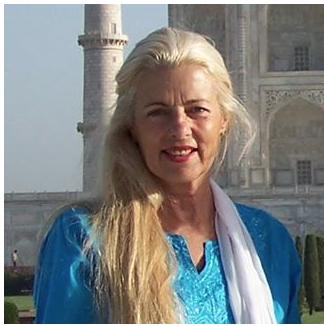 To learn more about Jayanti’s journey into spirituality, myths , life & her India Sacred Tours and Bali retreats, listen to the interview below.